I read The Last Girl , book one of the Dominion Trilogy, by Joe Hart soon after it came out because I saw an ad and it sounded cool. In the dystopian world of The Last Girl, the birthrate for woman has plummeted, and the few women that can be found by the NOA are 'protected' in the ARC. After reading through the first book, I decided not to read the second one. Although I enjoyed reading it, I found the idea of women being wiped out a stretch (biologically speaking, something that attacks the Y chromosome would only affect men, but something that attacks the X chromosome would affect men and women, possibly men more). The book was like two separate stories abutted next to each other and not one story arc. And although I liked the protagonist Zoey, I thought she put herself in too many dangerous situations. Then The Final Trade came out, and my love of Zoey quickly surpassed my resolve not to read the second book. Although there were parts of this book that I also found annoying, I couldn't put it down. I wish Zoey's friends had shown some resistance to all of her crazy plans. Instead, they rush into danger headfirst with her. Also, the Fae Trade was pretty hard to believe. At the end, we find out Zoey is 'the chosen one', a cliché I'm really tired of. But the book more than made up for these with fast paced action and heart-wrenching scenes. The first book stuck to Zoey's point of view, but this book introduces a new point of view character, Wen, another strong woman trapped in a horrible situation desperately trying to free herself. My favorite part was a scene near the end including a ski lift and snow machines. I won't spoil any details; you should just read the book. 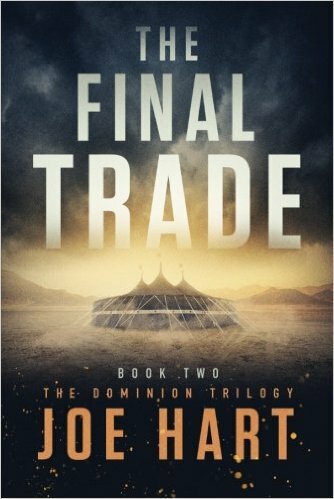 The last book of the Dominion Trilogy, The First City, is available for preorder right now on Amazon. I'm not even going to pretend I have reservations about reading it. I need to find out what happens next to Zoey. 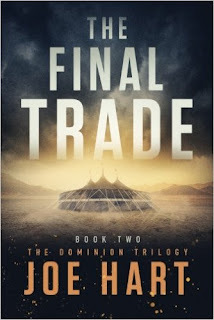 I'm a sucker for a strong female lead and a dystopian setting, and although The Final Trade has some pretty unbelievable parts, I'd still highly recommend it.